When I was in college I loved experimenting with different crafts. I remember one Christmas I made candles for everyone. Filling all sorts of pottery and glass containers. However, I had never used beeswax before. 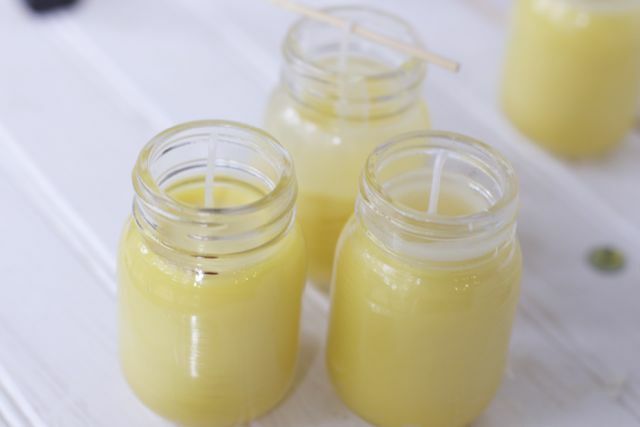 Given the chance to try US Organic’s 100% USDA Certified Organic Beeswax Yellow Pastilles was a great excuse to make these adorable Thanksgiving Beeswax Candle Favors or table place cards. They only take about 30 minutes to make and will be a great addition to your Thanksgiving Dinner table or a wonderful scent in your home. I purchased some small glass jars that make the perfect size for a table place setting. My 8 oz bag of Pastilles filled four of these jars, so plan accordingly. 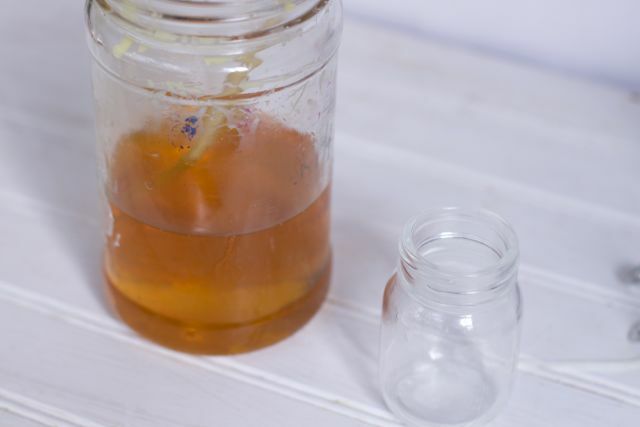 Use an old mason jar or metal container to melt the beeswax. 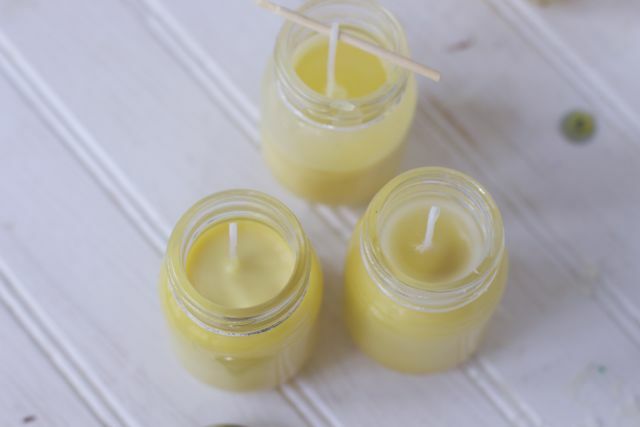 Make sure you use something you don’t care to throw away or use specifically for candle making. 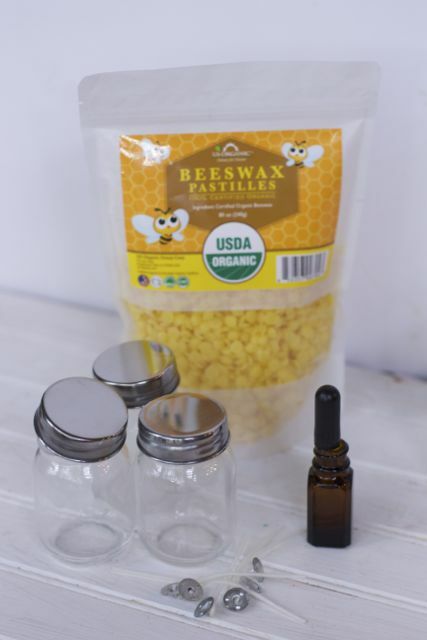 The pastille beeswax is small and will melt pretty quickly when placed in a pan with boiling water. Be sure to stir often. 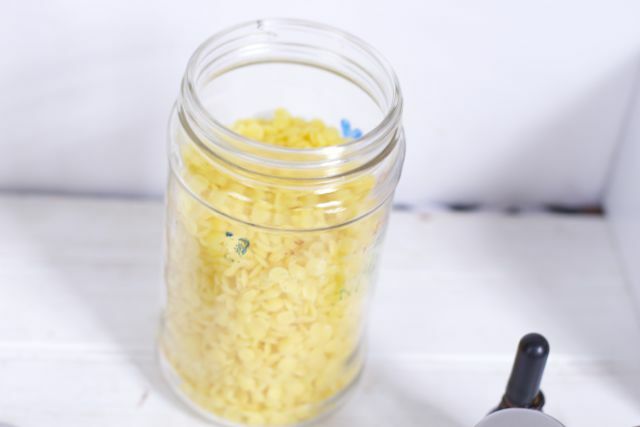 Once the wax is completely melted, take it off the heat and add any scents you desire. I added Pomegranate vanilla candle scent to these party favors. Set your wicks into your jars. Adding a little melted wax on the bottom is helpful to keep them in place. Be sure your wicks are taller than your container. 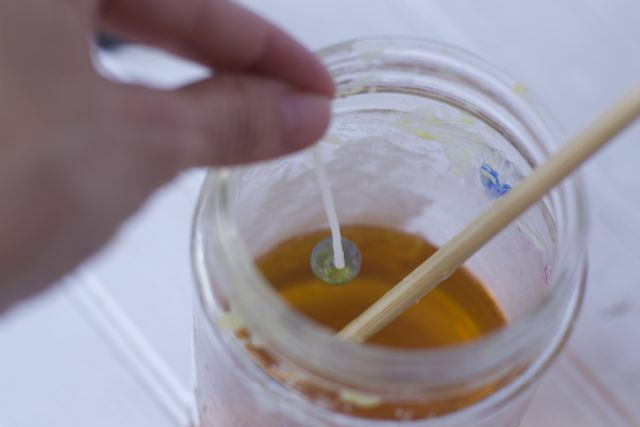 Using a toothpick or skewer, secure the wick on top of the glass to keep it in the middle of the jar. 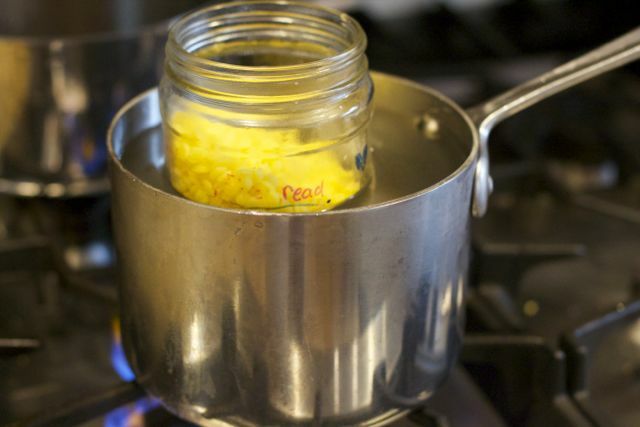 Allow to cool completely, adding more beeswax if they crack. 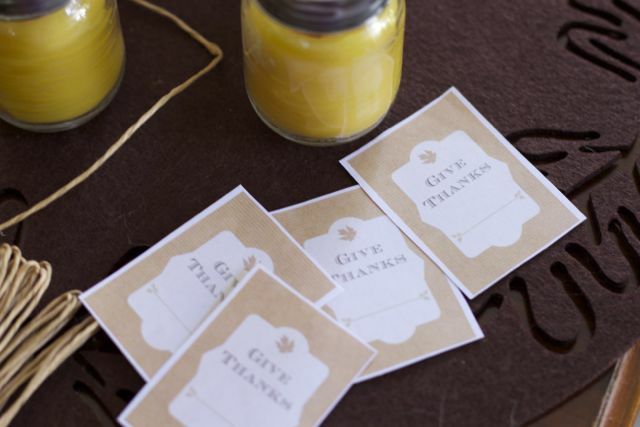 Print out a Give Thanks Free Printable and attach with some twine. 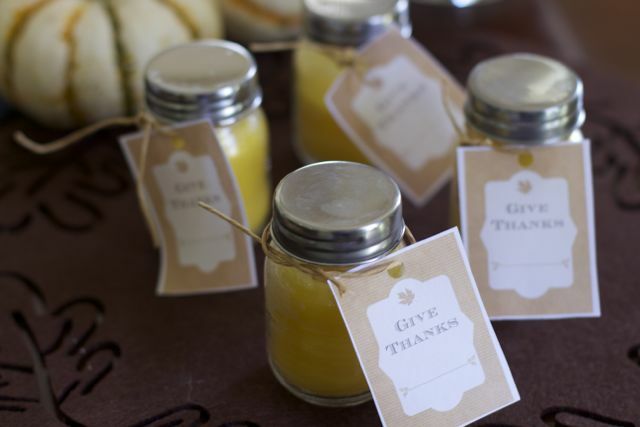 You are all set for the Thanksgiving Holidays with those Thanksgiving Beeswax Candle Favors. 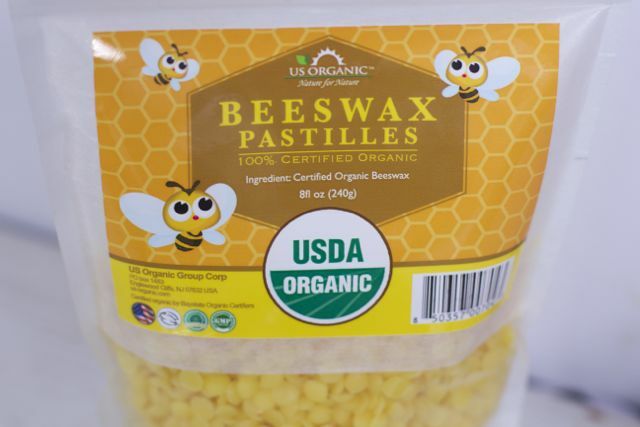 US Organic’s 100% USDA Certified Organic Beeswax Yellow Pastilles are filtered to be free of debris, are easy to use and are made with only the highest premium quality cosmetic grade organic beeswax. They are packaged at a USDA certified, FDA-registered facility in the U.S. The product is available in 3 sizes—4 oz. 8 oz. and 16 oz. Orangic…. beeswax. 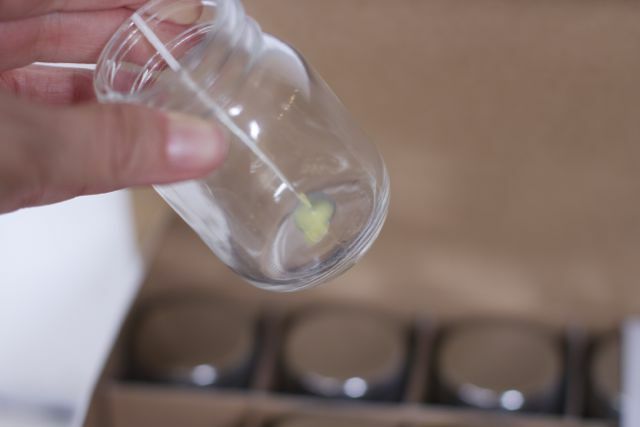 Here is the beeswax candle being used as a placeholder. 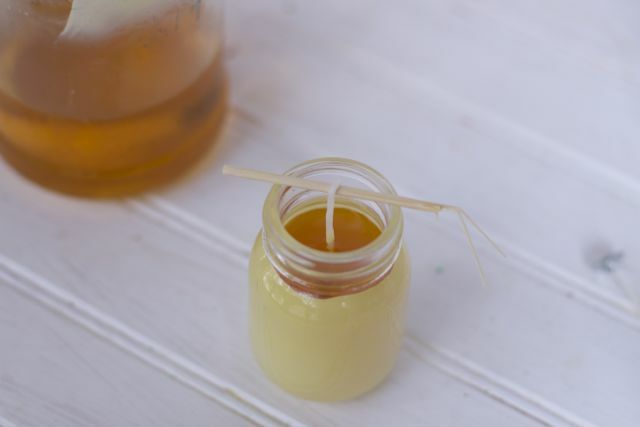 Have you ever crafted with beeswax before? If so, what have you made? Omg how cute are these?!?! I haven never crafted with beeswax but now you have me wanting to!!! That is such a cute idea for favors. I love the printable and how simple this diy is. I love this idea! Place cards that double as a party favor for your guests. So smart. I love beeswax candles. How nice! I’ve never done anything with beeswax before. 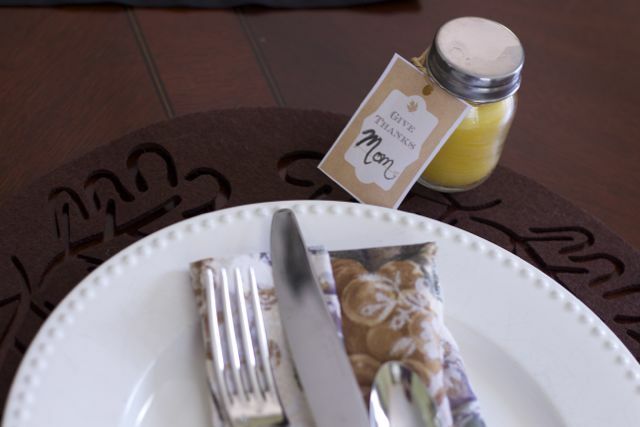 That’s a cute way to mark a place setting and a nice way to say thanks for sharing a special day. Divya they are coming and you can find a lot already on my blog. I love Thanksgiving so much more. 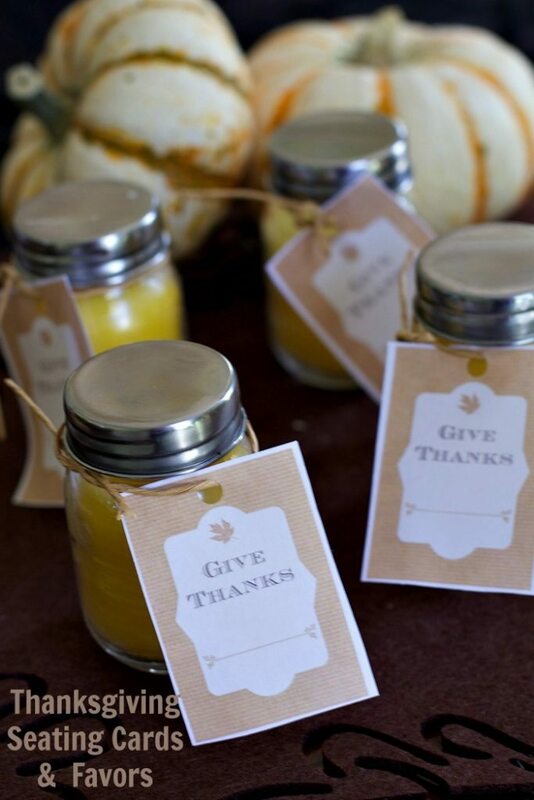 More meaningful in a way..
What a super ways gift idea for the holiday season, I will have to try to make up some thanksgiving beeswax candle favors and use your free printable too! What a neat idea. I thought making candles would be hard. Thanks for the tutorial. What a cool idea! I love the printable. Im so glad others are thinking of thanksgiving and not stragiht to christmas! Wow, this is incredibly creative! We’re not doing much for Thanksgiving this year since we’re not able to travel home, but it would be cool if you posted a simple crafts/decoration idea for Christmas too! I’d love to get ideas! Oh these candles are the best! I love the printable tags. These would be so nice to give out on Thanksgiving.